THANK YOU everyone for your wonderful comments about my studio! 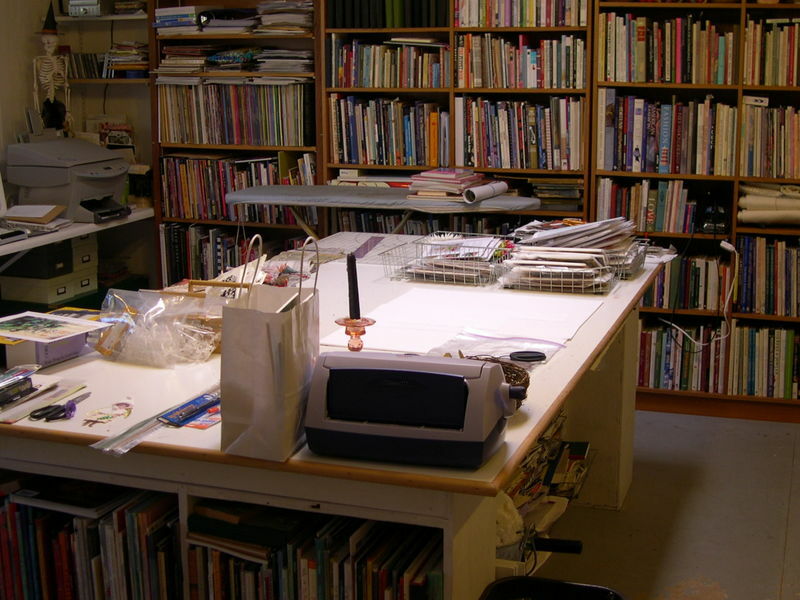 Here are a few more shots I thought you might enjoy... First, I have a huge work table in the middle of the room, which is never, NEVER clean! 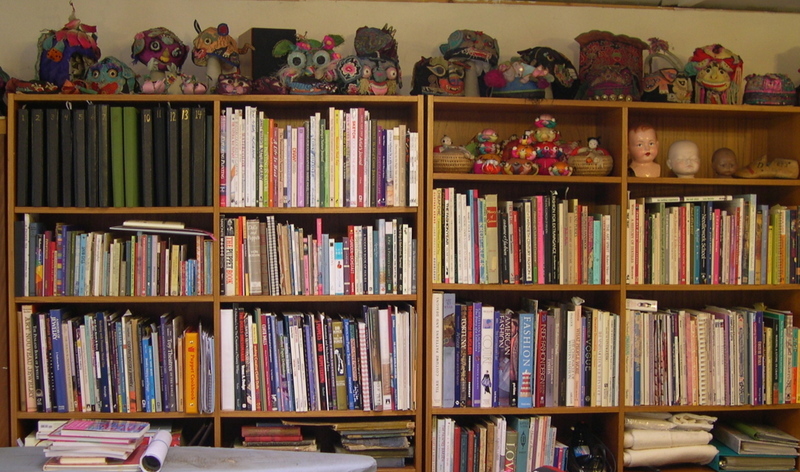 It has shelves all around it, filled to the max with books, supplies and papers... This is my 'Command Central', where my artwork gets dreamed up... The far wall is one huge book shelf that goes from wall to wall, and is filled with art books... (No joke, about my being a 'book junkie'!) 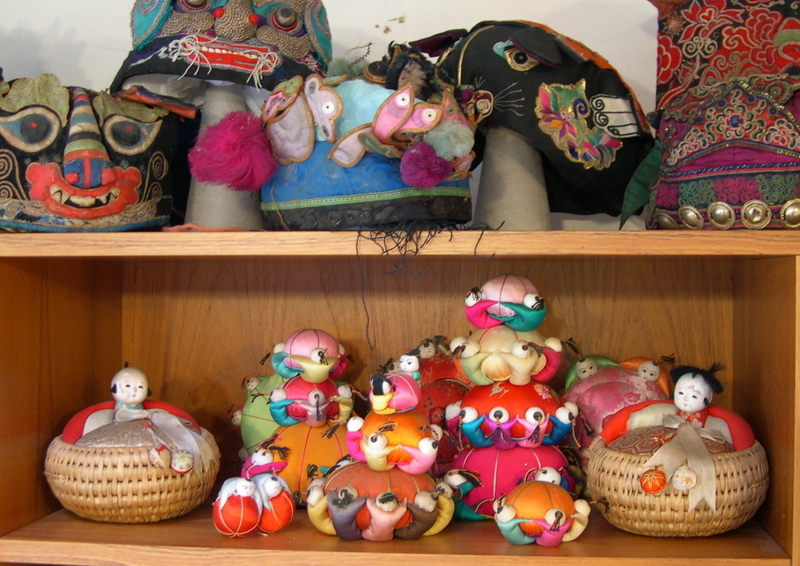 I keep my Chinese Baby Hat collection on the top shelf, for color inspiration and just pure pleasure! Now for the UGLY... Did I mention we have a 'Garage'? 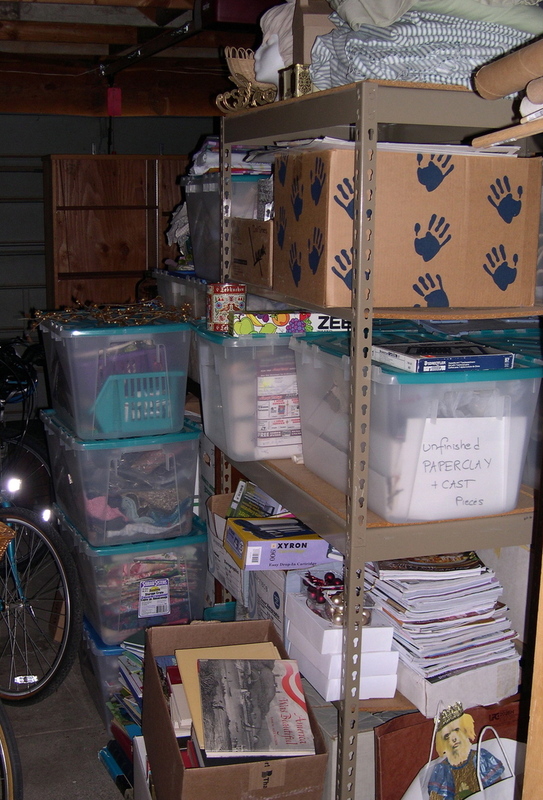 Unfortunately our garage, has never functioned as a garage (anybody else have that same problem???) 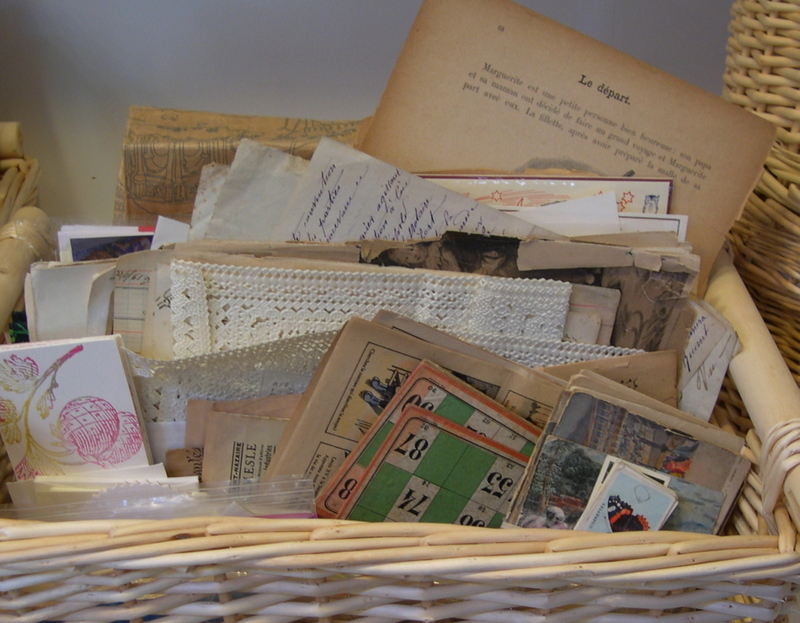 I think my childhood as a gypsy and no space to collect, has led to my adult-hood of not being able to let anything go! Our garage, affectionately known as the 'Hole', "...be careful not to fall in the 'Hole', you may not be able to get out...!" is the space where all good things eventually come to rest. I am not too proud to show you this 'Hole', its just another side of Ulla! One filled with boxes and boxes and boxes and boxes (get the picture?) 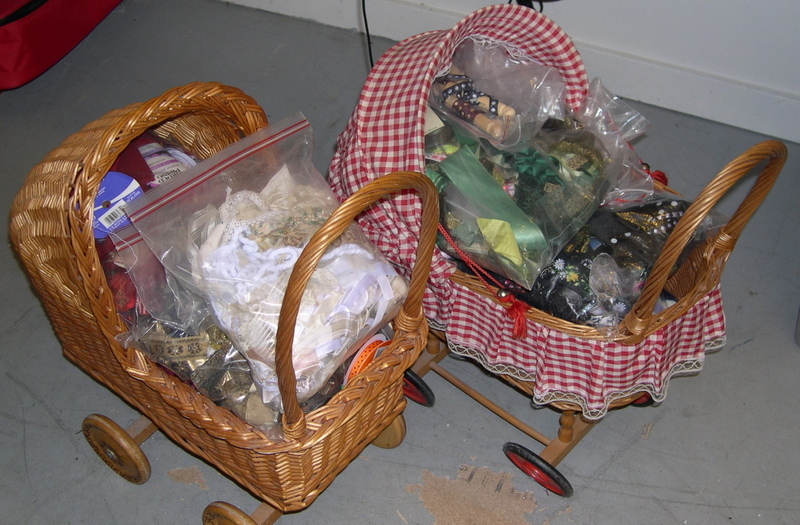 of "wonderful treasures" or as my husband says, "Ulla's Junk". Multiply the photo by about 8 and you see reality... So now the Truth is out, my 'Photo-Pretty' Studio is a screen for where the real stuff lies... Hope you enjoyed the tour, I sure had fun showing you!!! Things have been a whirlwind around here, with my kits selling almost as fast as I can make them (THANK YOU EVERYONE, AND I JUST ADDED MORE KITS TODAY!) The ultra talented Pam Garrison was sweet enough to mention my kits on her blog yesterday, THANKS PAM!, so the fire is under my pants again!!! 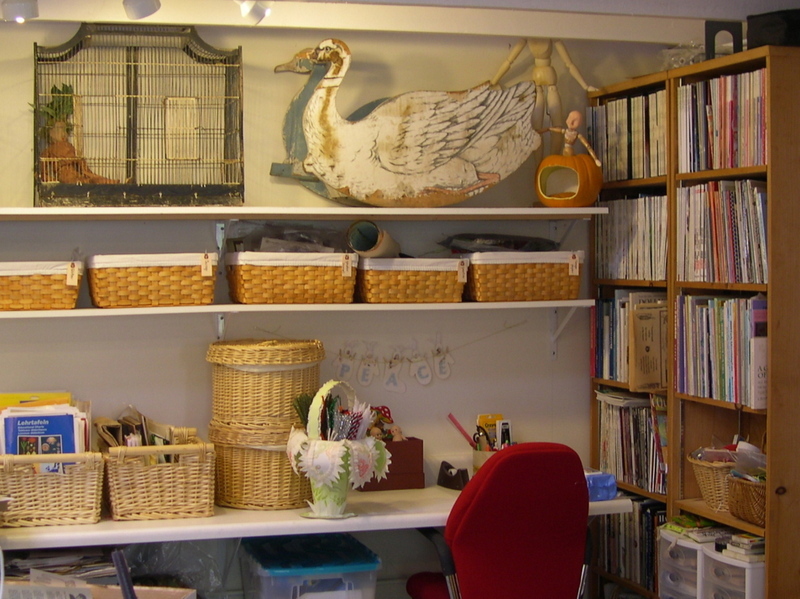 I also scheduled my first official 'IN STUDIO' CLASS for this Sunday, so I have been working like crazy to get my space to look more like a 'teaching studo' and less like a 'disaster zone'! 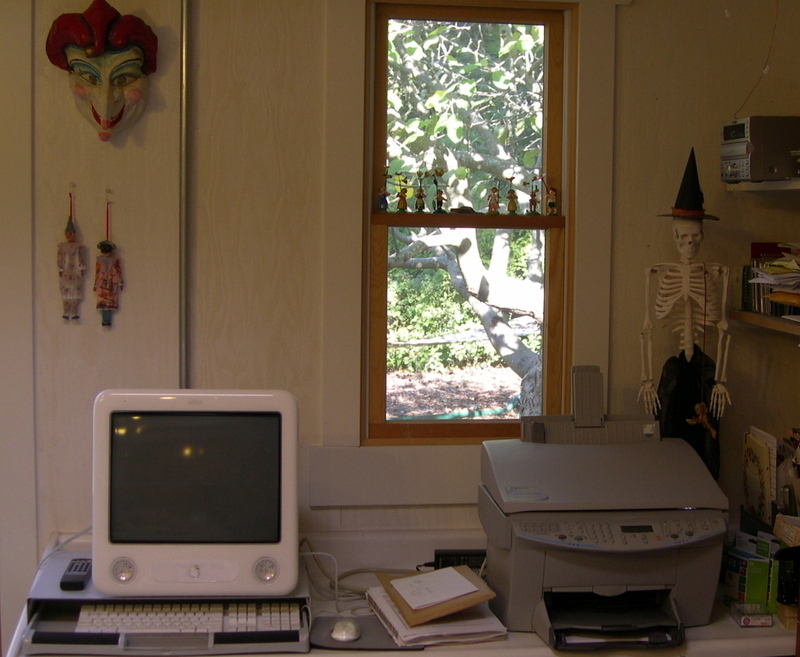 I thought I'd give you a sneak peak of my studio. We purchased our house mainly because it has a double garage - (the old-fashioned kind, where the garage is back to back towards the end of the lot). First month we moved in, my husband closed off the back half of the space for me, and put in new walls and floor. 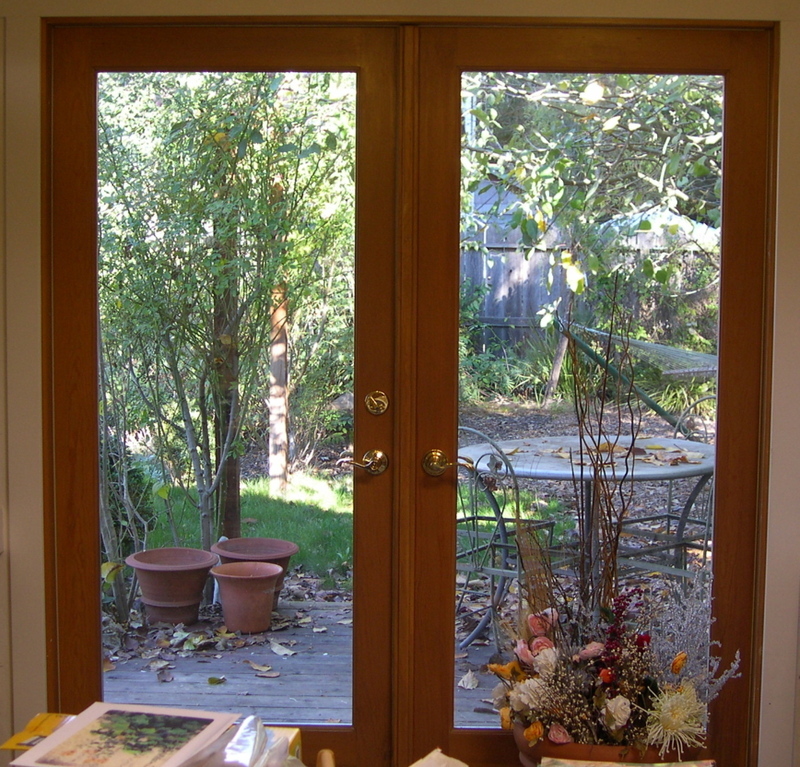 A few years ago, he put in french doors out to the garden, and little windows framing the doors, plus my own private deck that sits under the apple tree! I love my studio, but more often than not it looks like a disaster zone inside!!! I am usually working on at least 5 projects at a time, and move around from project to project... So you are getting the official "Photographers Special" photos today, trust me, it won't stay this neat for long!!! First, I really wanted some 'Beauty' in my room, and created special little spots where I can rest my eyes when my fingers need to stop... 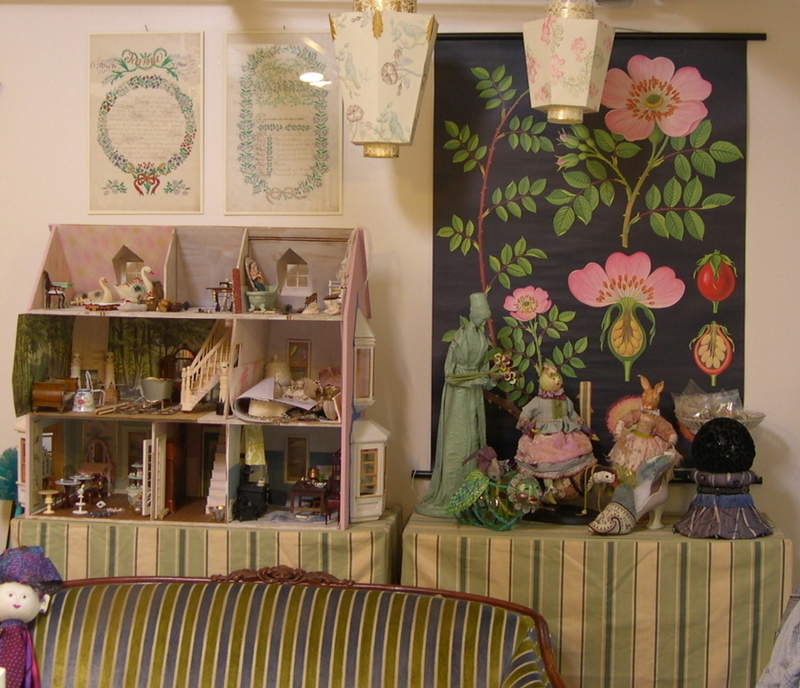 This photo shows the right hand wall as you come into the studio, with an old green couch, my doll-house (with storage underneath! 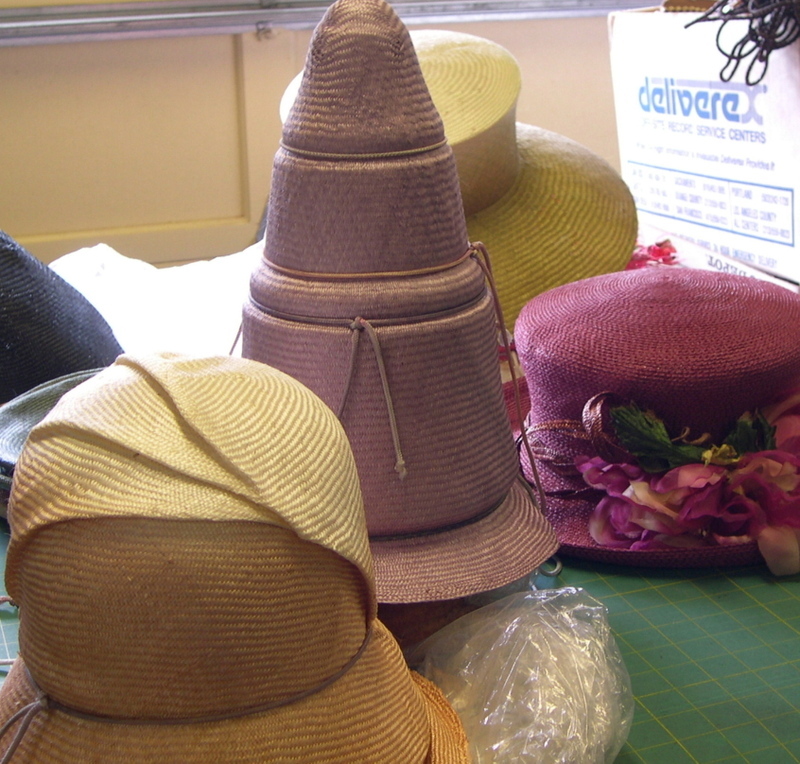 ), and a few other Ulla- pieces. The rose poster, was hand carried to me by Carol's sister from Germany, earlier this year! Isn't it fabulous? 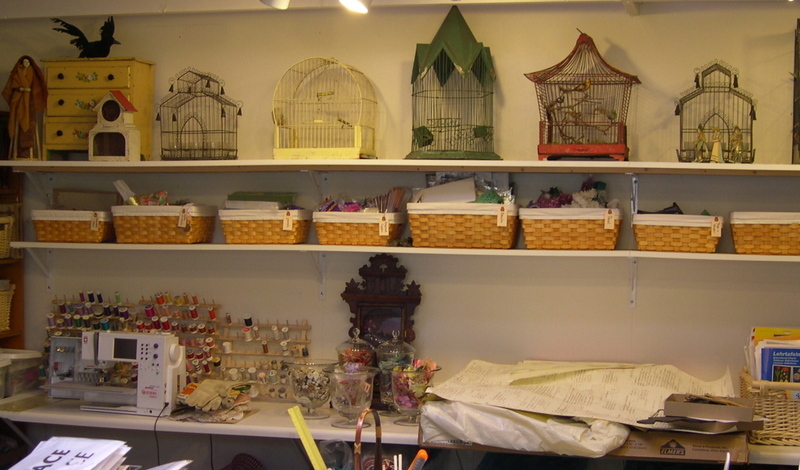 On my back wall I have long shelves, the top devoted to some of my bird cages (my daughters spot is under the swan!) and the second shelf for pretty storage. 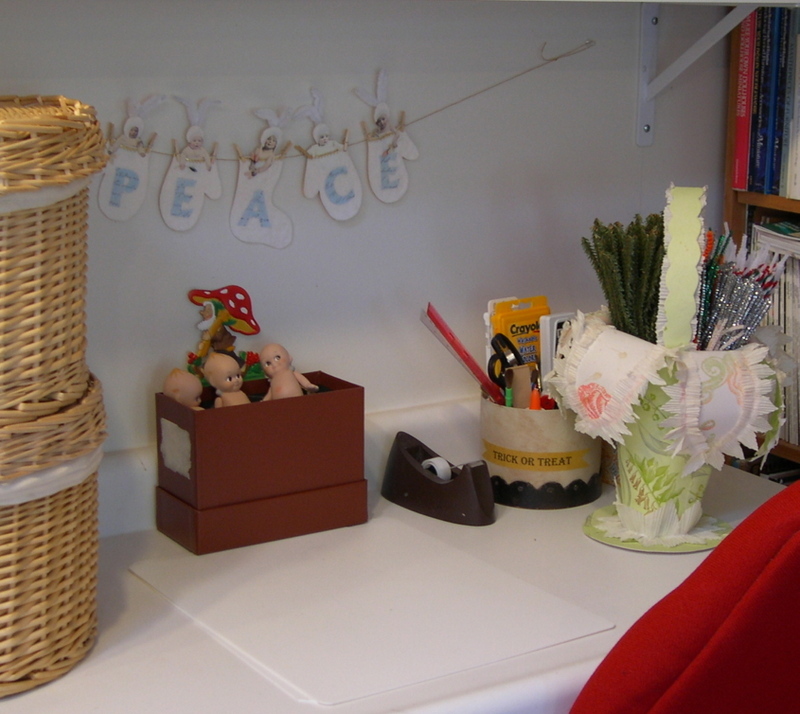 My sewing area (with my beloved Bernina) is on the opposite corner from my daughters space. 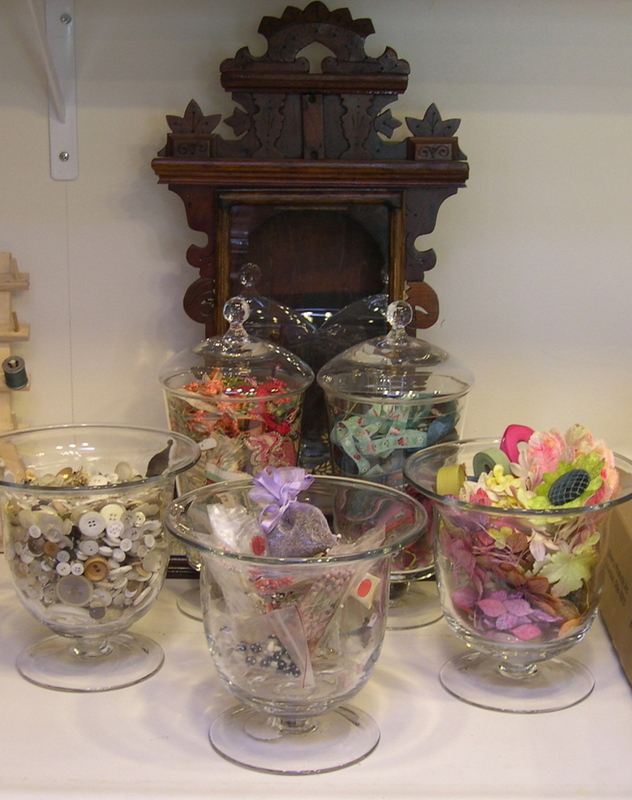 I have tons of ribbons that I store in two old doll-buggies that used to be my daughters (she got them the same year for christmas - one from me, one from grandmother - LOL) I also bought some 'Martha Stewert' Apothecary jars (at K-mart) to put favorite ribbons, leaves, and flower centers in. 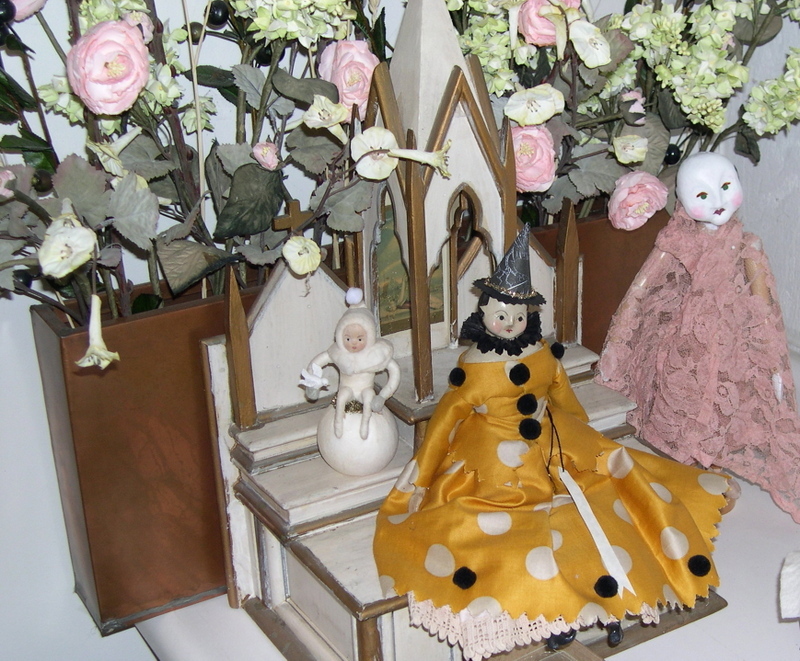 Thats an old gingerbread clock case behind them, that I hope to make into a 'doll case' someday! 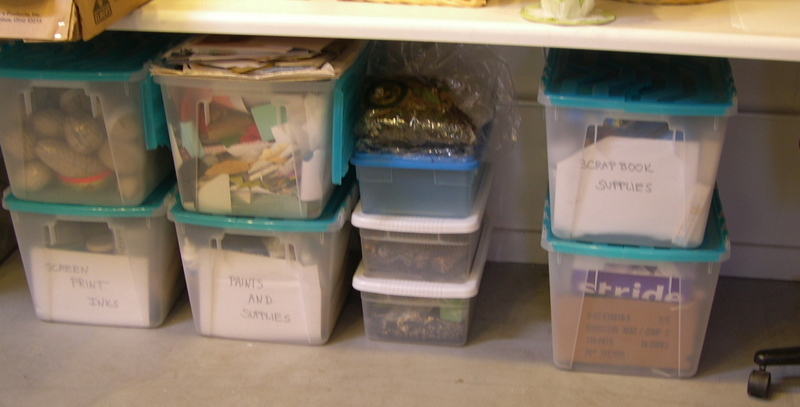 Enough for now, will post more later, including photos of where most of my 'stuff' is stored!!! 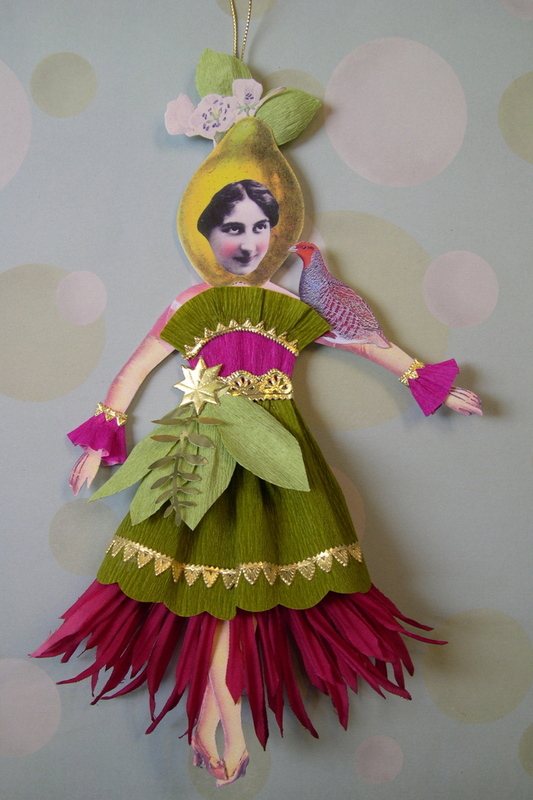 'Miss Pear and her Pet Partridge' Ornament Kit! 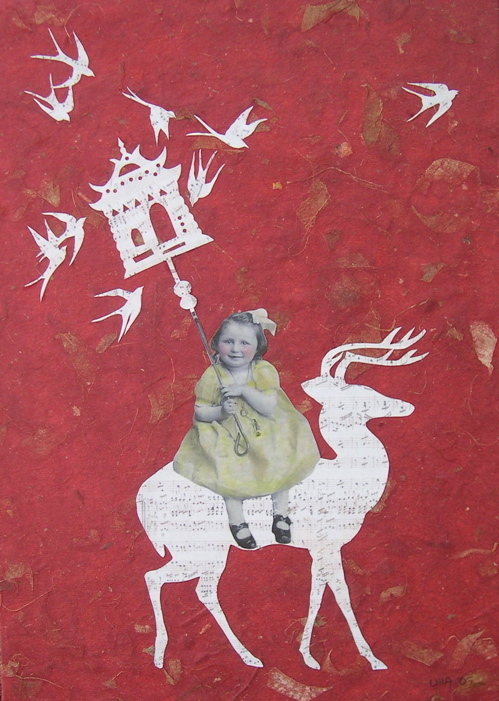 'Miss Pear and her Pet Partridge' is my next kit for sale in my Etsy Shop! I've switched to plenty of color this time, creating her fancy-dress clothing from German crepe-paper and golden Dresden, gold paper punched leaves, and a fun pressed-fabric 'flounce' as an underskirt! Her arms and legs are attached with tiny brads so you can move them as you please. She is ready to greet your holiday season in style, with her little pet partridge seated securely on her shoulder for all to see. 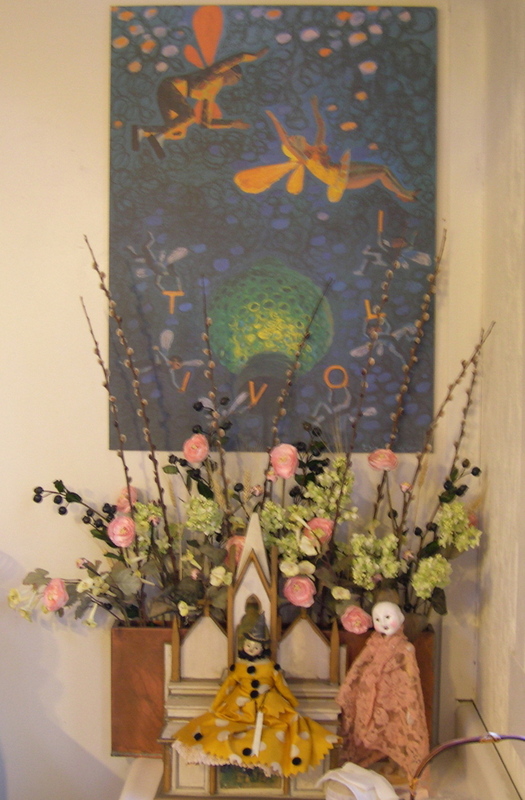 I took direct inspiration from my Pear and Partridge dolls that I made years ago, as well as a quite nod to dear Constance's 'Floralina' bags! Enjoy! I very rarely take classes myself, being too busy with my own schedule of working and teaching, and also of the philosophy that 'if I can teach myself I learn more in the long run'. Well today was an exception. 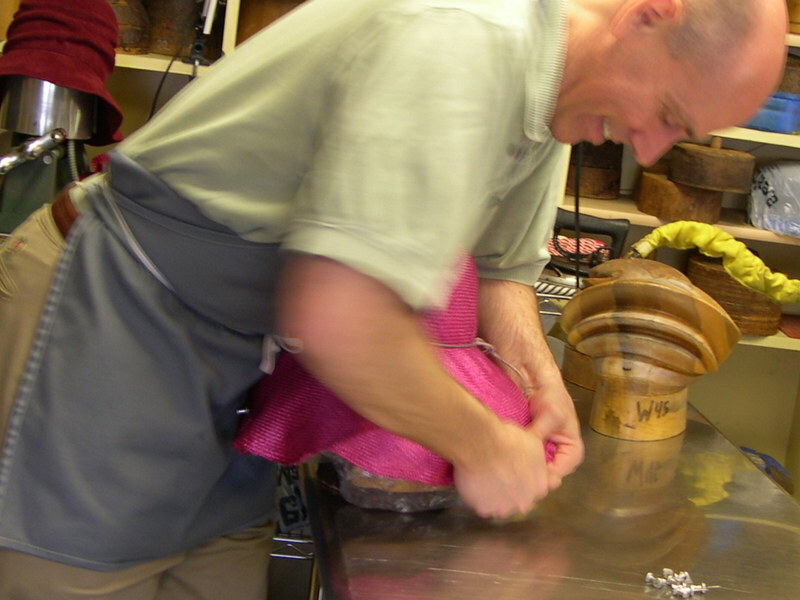 I have wanted to take a hat making class for ages! 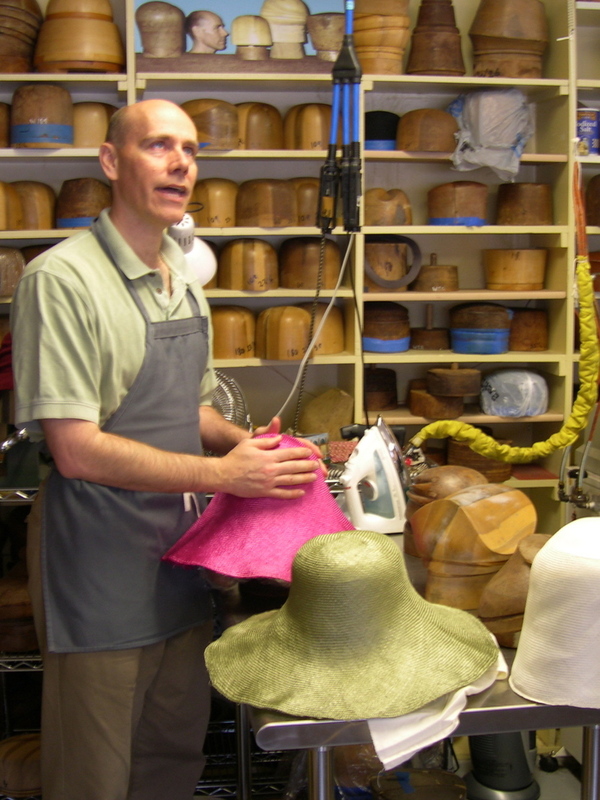 In January I found a straw hat class taught by Wayne Wichern, through The Sewing Workshop in San Francisco. This is a 2 day class, today being the first, and next Saturday the second and last day. Wayne is a sweet and soft-spoken teacher, with a wonderful sense of style. 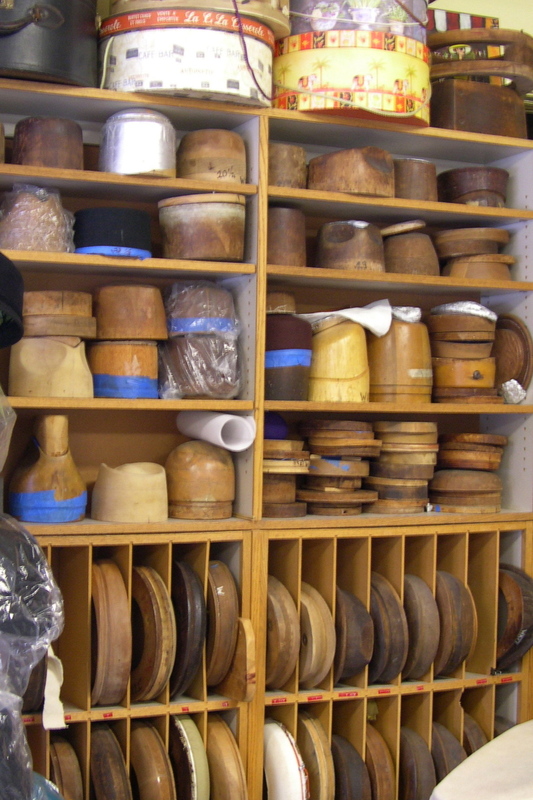 You can see from the 1st photo that he has an incredible collection of vintage and new hat blocks. (photo only shows a fraction of his bounty!) 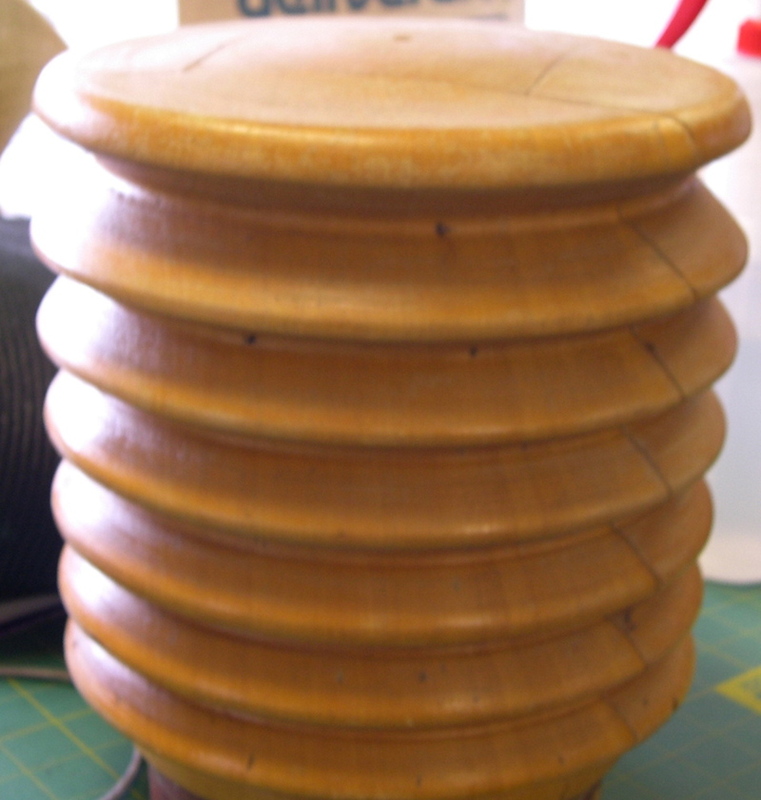 The first block I fell in love with was a delightful 'circus-like' conical shape. 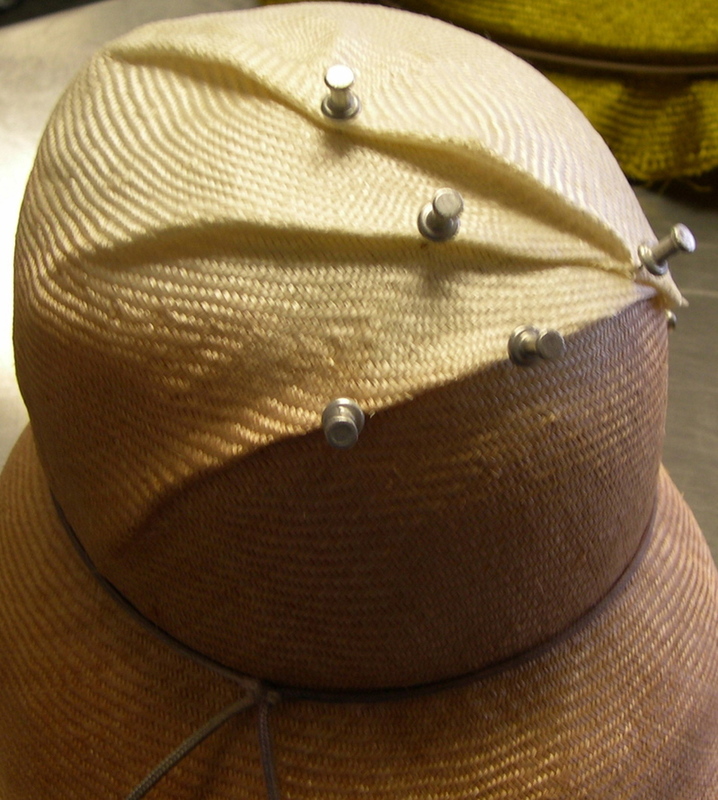 Wayne's response was, "Well I have never done that in straw, but it might be fun..." (Normally this form is done in felt and the top is pushed in for an indented look) I found a lovely 'old lavender' straw and began the process of stretching and tying. 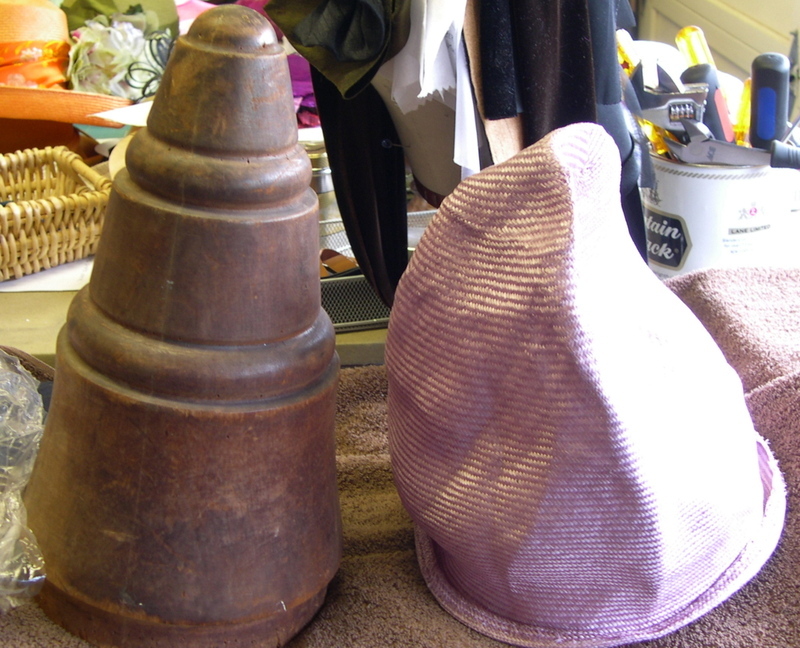 For my third hat I decided I should do something more 'normal' and found a lovely little 'cloche' form. Not wanting it to be completly ordinary, I added a few nips and tucks on top. The straw for this one was hand-dipped so it has a lovely half tone to it. I have a zillian ideas, including how to make my own blocks, (wooden ones are hard to find and generally expensive). On the way home I went to the local drug store and bought some plastic plant holders and tupper-ware I thought might make interesting shapes... My brain is zooming. But I won't be able to try any new inventions until next week... 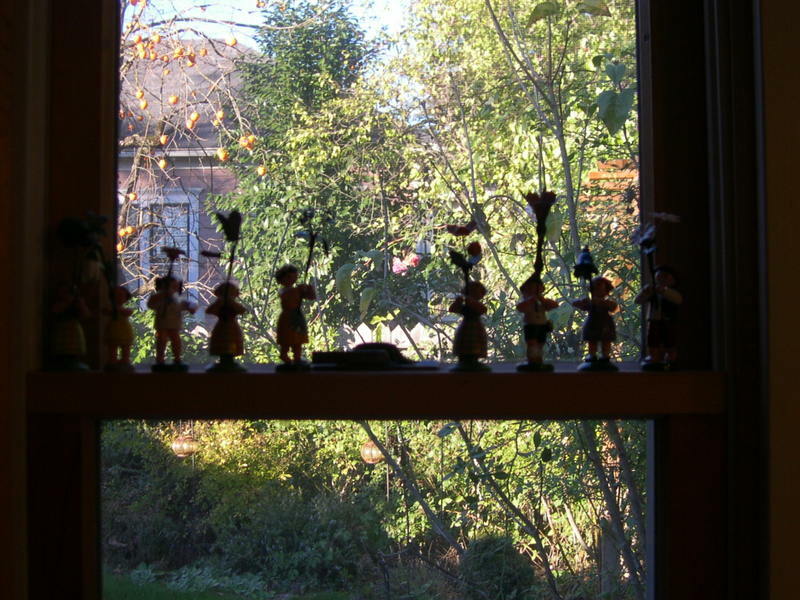 I am off tomorrow to teach my 'Figural Paper Theater' to 15 women in Petaluma! Have a great Sunday!!! OK, yesterday I bought 4 empty mantle clocks (and a violin case!) at a local antiques shop. Perfect for little theatres I thought... Here is my question. As you can see, I jumped right in and papered this one with music. First I gesso'd it, not sure why, just did. 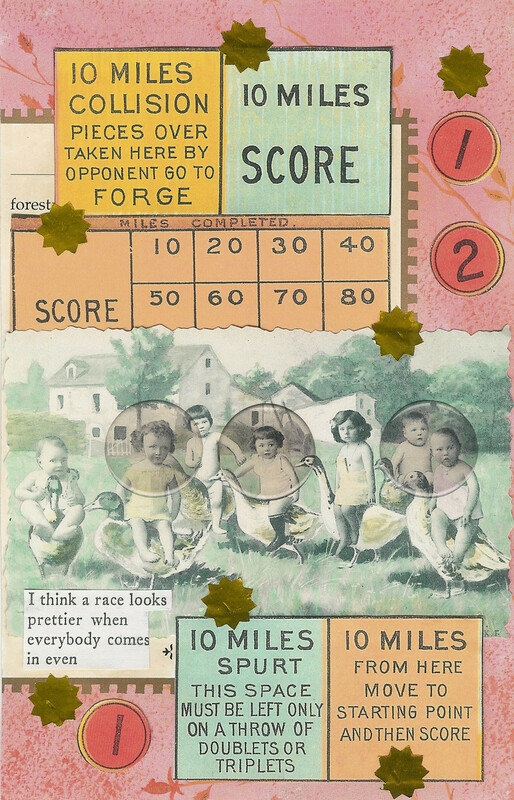 Then I glued on the paper. Well, the edges are not adhering as well as I would like them to. The paper is ancient, and wants to crack... Do I paint varnish over it? or something like 'modge-podge'? I also am thinking perhaps I need to add some kind of trim (ribbon?) to the edges. I am stuck. Figured someone out there may have a solution or idea to pass on. Thank you for your help in advance!!! and your Better is your Best! Time to heal and drink tea. One week after oral surgery, I am still healing, a bit loopy from medications and drinking lots of tea. 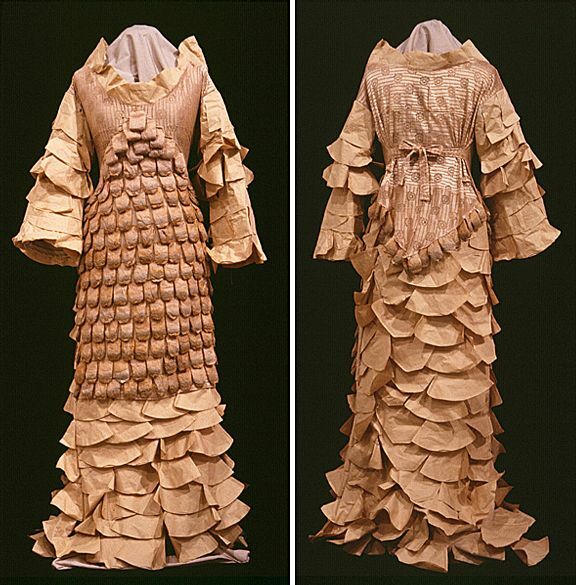 Wish I could lounge around in a gown like this one by Meredith Grimsley. Instead I have been indulging in Jane Austen movies. 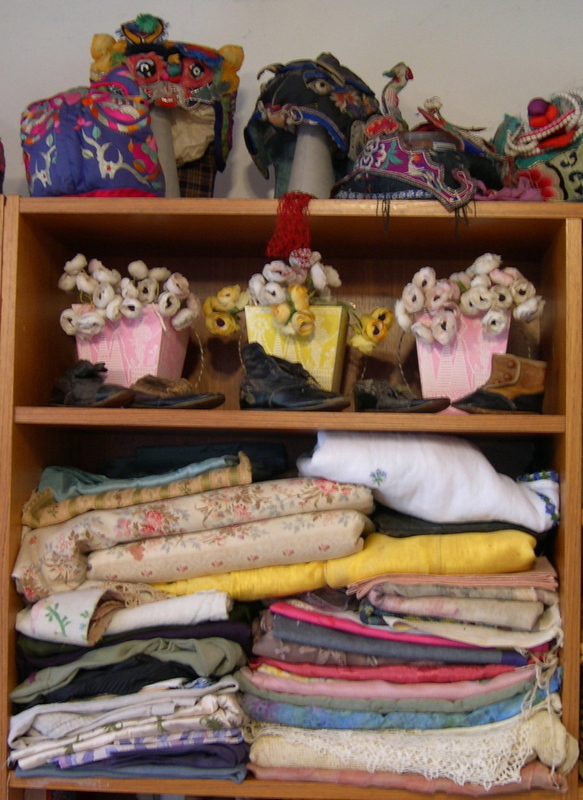 New class offerings for me this Spring include: Silk Ribbon Embroidery Beret, Language of Flowers Gardening Journal and Easter Egg mini Theaters. Pictures and details to follow. For now I will indulge myself for a few more hours, drinking 'The a l'Opera' from a paper thin demitasse, and watch Pride and Prejudice yet again.